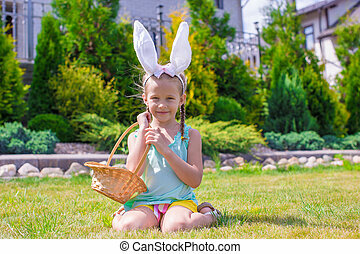 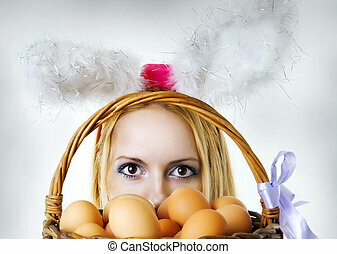 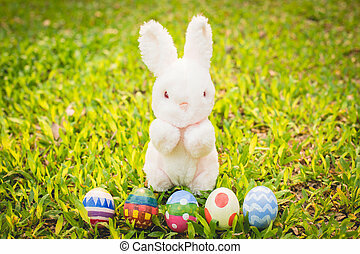 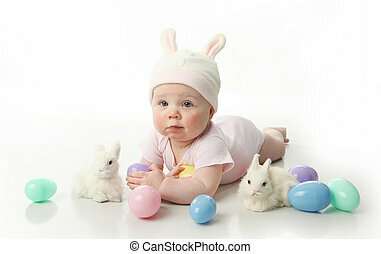 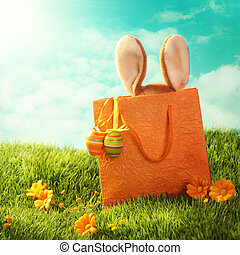 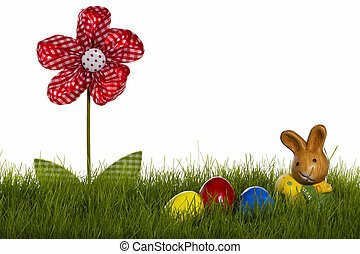 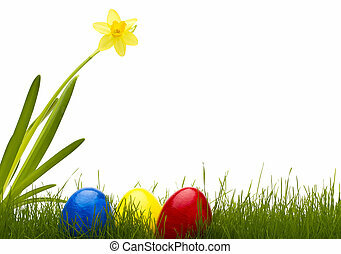 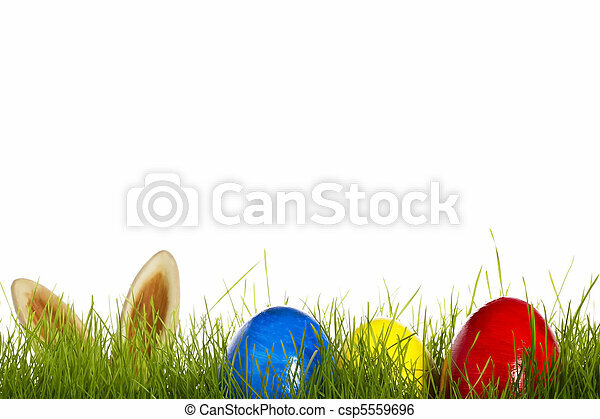 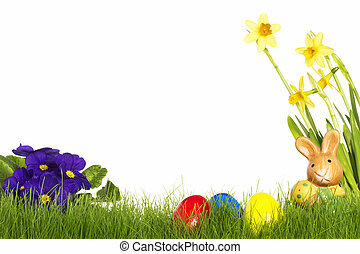 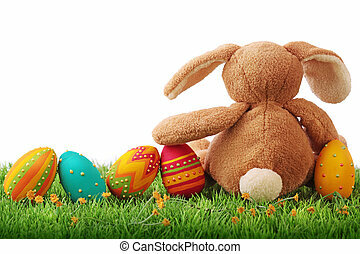 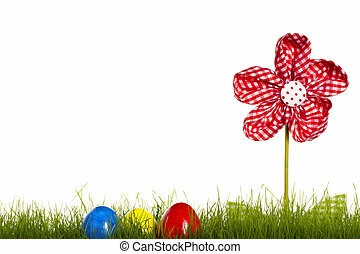 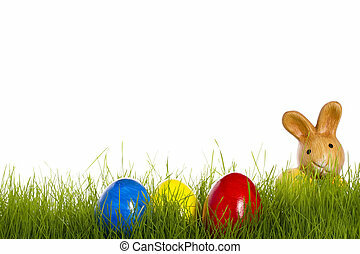 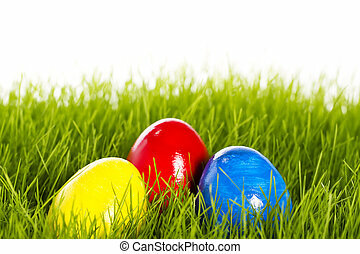 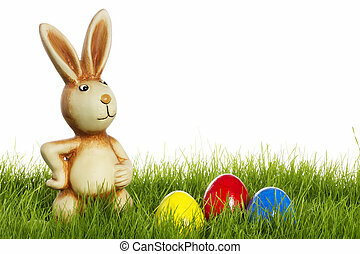 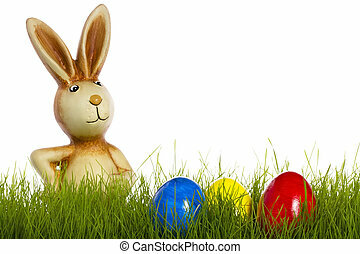 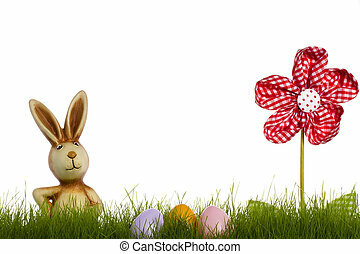 Three easter eggs in grass with ears from a easter bunny in background on white. 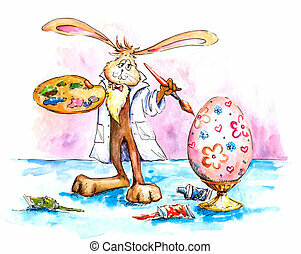 Easter bunny painting his easter egg.Picture I have painted myself with watercolors. 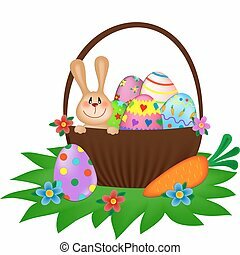 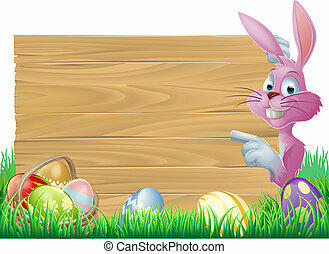 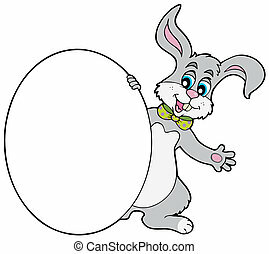 Easter bunny with big egg - vector illustration. 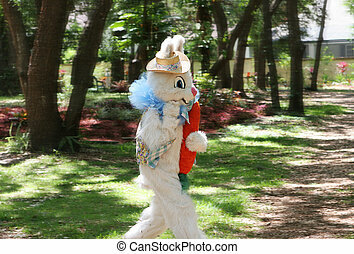 A photo of the Easter Bunny running by on his way to hide eggs. 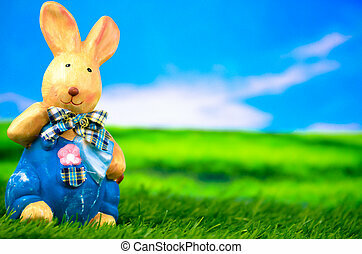 Photo taken while panning to enhance action. 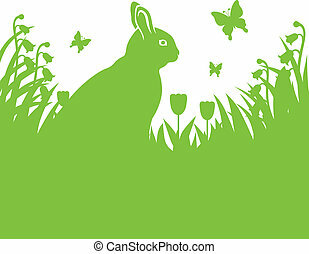 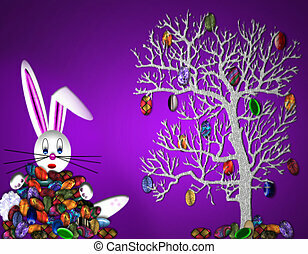 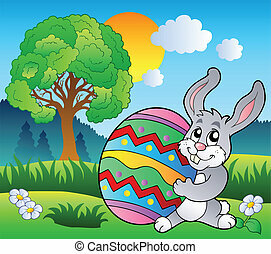 Meadow with tree and Easter bunny - vector illustration.